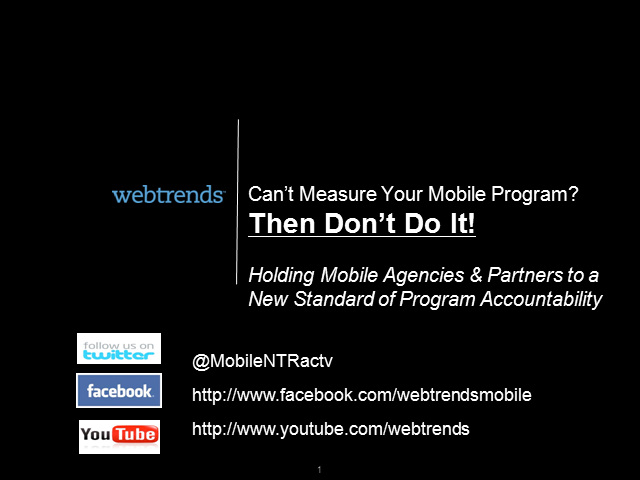 Can't Measure Your Mobile Programs? Then Don't Do Them! • Why is this Mission Critical? Michael Ricci, Vice President of Mobile, Webtrends Inc. Title: Can't Measure Your Mobile Programs? Then Don't Do Them! Presented by: Michael Ricci, Vice President of Mobile, Webtrends Inc.